Do You Need Repair Information? Are you tired of searching for PDF manuals? Would you like tech support with a live person? Did your last repair job not go so smooth? Do you want step by step instructions with photos? Would accurate specifications help you out? Does wrenching make your brain hurt? If you work on ATVs, motorcycles and scooters, you need Cyclepedia. Although I am 67, I am new to biking. My son and I took a motorcycle safety class for the fun of it and when we completed it we both decided to get motorcycles. I got a Honda Rebel and began looking for information that would help me maintain its operation. I’m so glad I found Cyclepedia. What a great resource, or more accurately, what great resources. The manual has been my go to for information, but it is nice to have your tech support when I may not understand what I have read. What Makes Cyclepedia So Different? Cyclepedia Manuals are revolutionary because they take the guesswork out of working on vehicles, by including step by step instructions with color photos in an online format. Thousands of people have repaired vehicles using Cyclepedia manuals. But, how can you know if you are doing it right? The answer is to utilize the free tech support that comes with every Cyclepedia subscription. Access a single ATV, motorcycle or scooter manual online or in printed form. Tech support is included with every purchase! Access our growing repair manual library, our specification database, labor estimating software, training modules and technical support! With Cyclepedia there’s no reason to guess what the problem could be when, now, it’s so easy to know. 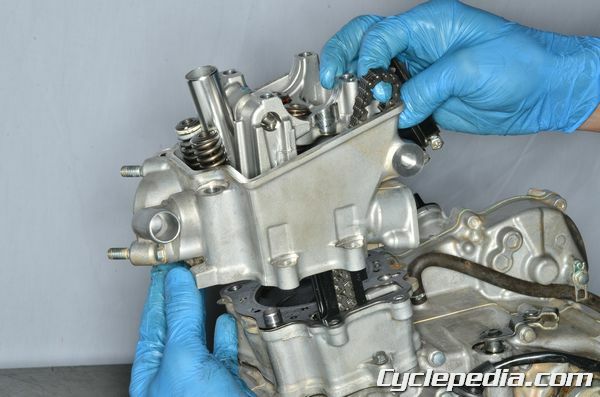 Cyclepedia Online Motorcycle Repair Manuals are easy to use, affordable and include knowledgeable technical support that can help you get the job done. Buy just one manual for your motorcycle, ATV or scooter and get the help you need. Dealers can access all of our Online Motorcycle Repair Manuals for one low price with Cyclepedia PRO. Be sure to check out the Cyclepedia ATV, Motorcycle and Scooter Repair Specification Database if you are looking for motorcycle repair specifications. 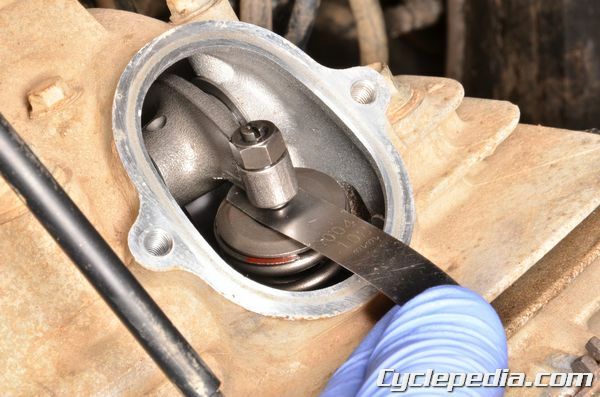 Make Cyclepedia.com your online source for motorcycle repair information. Ask your local dealer, library or school for access to Cyclepedia Online Motorcycle Repair Manuals. Many libraries have access to the complete Cyclepedia Repair Manual Library. Cyclepedia sold our first Online Motorcycle Repair Manual in 2006 and ever since then our job has been to help you get the information you need to keep your vehicle running. We publish full color, online manuals to help you save time and money servicing ATVs, motorcycles, scooters and side by sides. Every Cyclepedia subscription includes free tech support. Need help with your ATV, Motorcycle, Scooter or Side by Side? Give us a call at 828-645-0017 between 9am – 5pm Eastern Standard Time to talk with a member of our support staff. 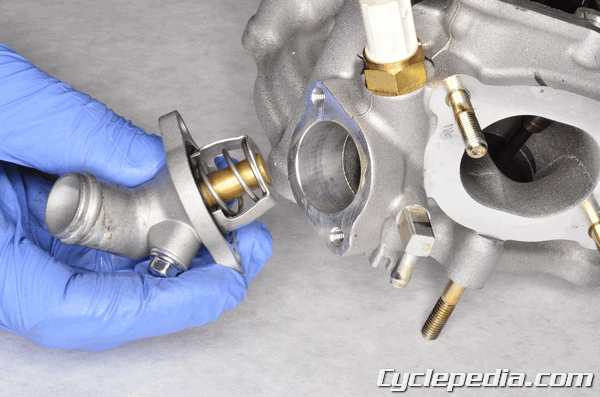 Instructional Tutorials, How-To’s and Videos for aspiring mechanics can be found in the Cyclepedia Common Service Manual. This free resource contains basic motorcycle wrenching info for those new to the sport or anyone looking to learn something new. If you are looking for vehicle specific information we encourage you to get a service manual specific to your year, make and model. 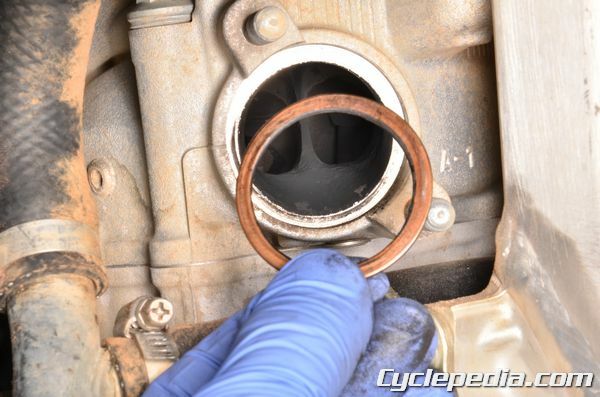 Do you need a little extra help working on your motorcycle? Get Paid Support [Ask the Expert]. No matter how good a mechanic a person is, we all can use a good tip now and then. Some of us more “now” than “then”! Whether you’re a beginner or a expert technician, Cyclepedia can help you through your repair. Subscribers to our manuals get free tech support, however, if you just need a little help you can access our support staff with our Ask the Expert option. At Cyclepedia our goal is to get you the information you need as quickly as possible. We realize that not everyone wants a online manual (they are pretty cool though) so we have made Cyclepedia printed manuals available at RepairManual.com.